MacAulay-Brown, Inc. (MacB) today announced that Tom Crawford is joining the company as its new senior director. Crawford will lead the Dayton, Ohio-based company’s business development efforts for its National Security Group. MacB provides engineering services and product solutions to defense, intelligence, special operations forces, homeland security and federal agencies. In this new position, Crawford will report to Mark Chadason, the senior vice president and general manager of MacB’s National Security Group. For more than 25 years, Crawford has worked in the areas of business development, IT, operations, science and cybersecurity in the government, military and commercial sectors. Prior to joining MacB, he was the director of business development for BAE Systems, Inc., where he managed a $500 million pipeline and helped to win a $5 billion Indefinite-Delivery/Indefinite-Quantity (IDIQ) contract. Before he joined BAE Systems, Crawford worked at SpecTal and General Dynamics in senior-level business operations positions. 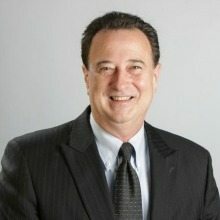 His other previous experience includes managing the design and implementation of non-GPS tracking systems for commercial satellite operators, developing a world-wide organizational messaging system for an IC customer, and working as a systems programmer and applications developer for the Central Intelligence Agency (CIA). Now, at MacB, Crawford will be responsible for strengthening the company’s presence in the intelligence community (IC), as well as helping to increase strategic new business opportunities and cultivating critical relationships with key customers and industry partners. Crawford holds a master of business administration (MBA) and a bachelor of science degree in management from George Mason University. Related: MacB announced that it opened a new Office in Augusta, Ga, near Fort Gordon in June 2014. Read on here.